Given a couple of hours in the new Golf GTI Clubsport and Portimao to play on it might seem a little ungrateful to question what this 40th birthday special stands for. But after some pre-launch swotting one question appears inescapable. 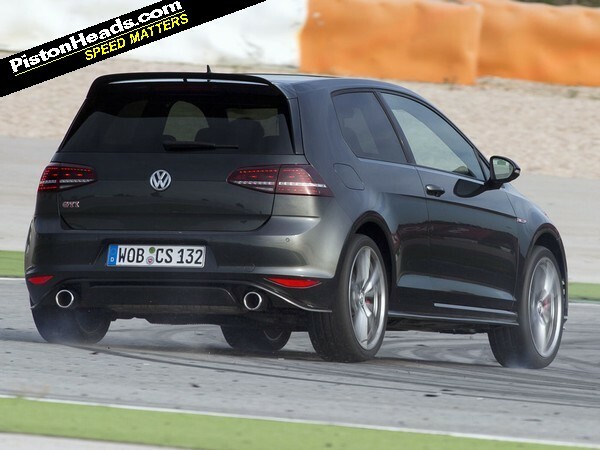 Is this truly a pared-back, driver-focused Golf GTI worthy of the name? Or, like previous anniversary models, basically a perfectly appealing limited edition GTI with some fancy seats, carefully managed power increase and a smattering of Alcantara and red stitching? First things first. The fancy seats are really, really nice. 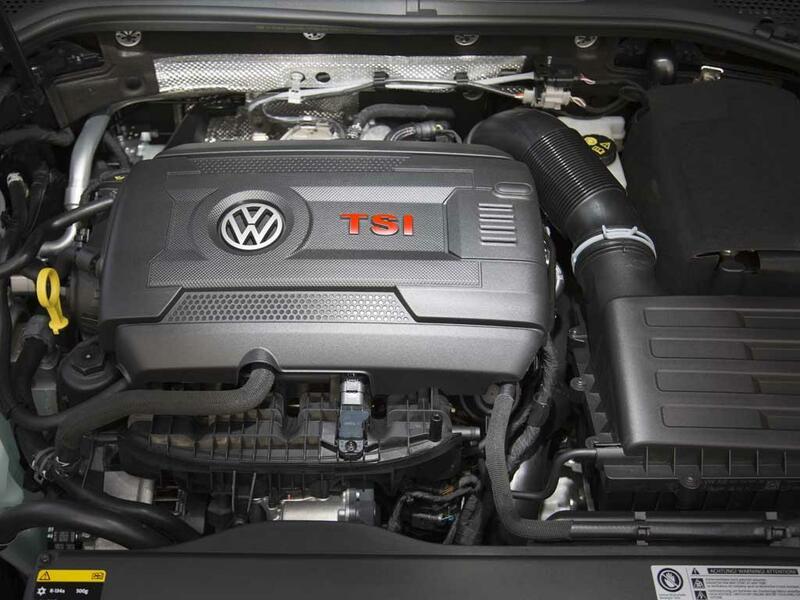 VW's not sure yet if it'll be able to offer them as standard or if they'll be a cost option. 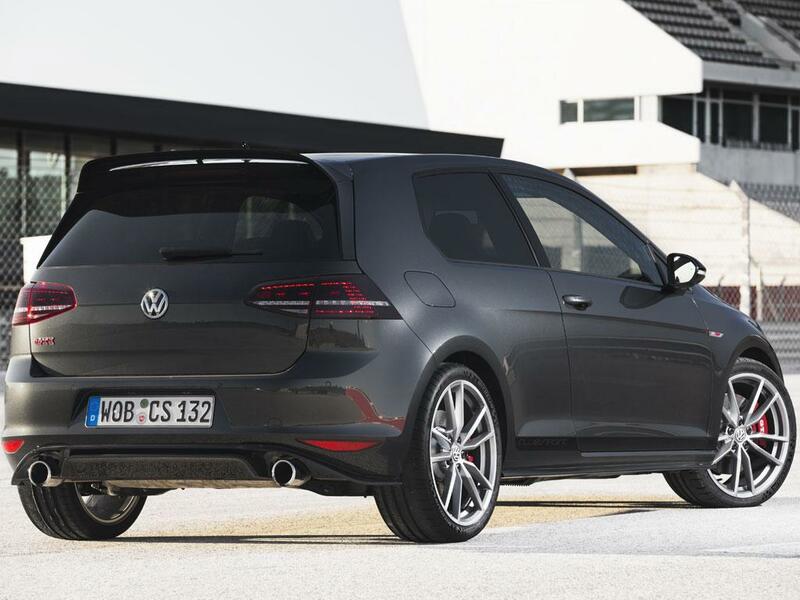 But if this really is the collector's Golf GTI VW reckons it is - enough that the literature boldly suggests true enthusiasts should buy one to drive and one to put away - you'd have to be bonkers not to tick the box, whatever the cost. 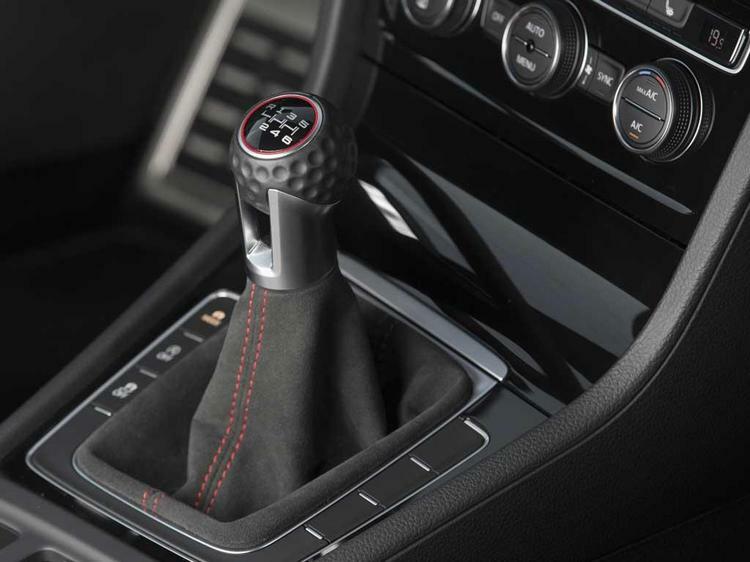 These and interior flourishes like the Alcantara trimmed wheel literally do make the Clubsport feel special. 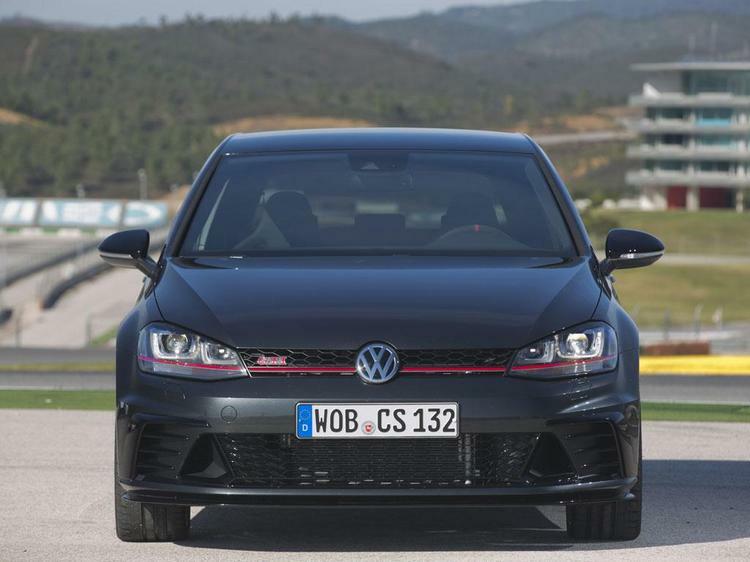 While we're suckers for such things there are more serious questions about where this car stands, firstly within the fast Golf family and also against brothers in arms like the SEAT Leon Cupra or related Audis. Let alone outside rivals. 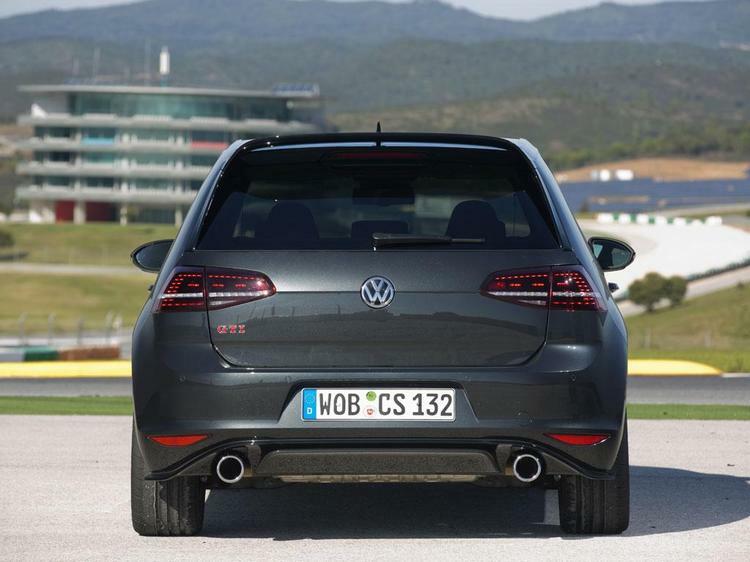 Based on the GTI Performance, it gets a power increase to 265hp while maintaining the same 258lb ft as all the other front-driven MQB hot hatches. 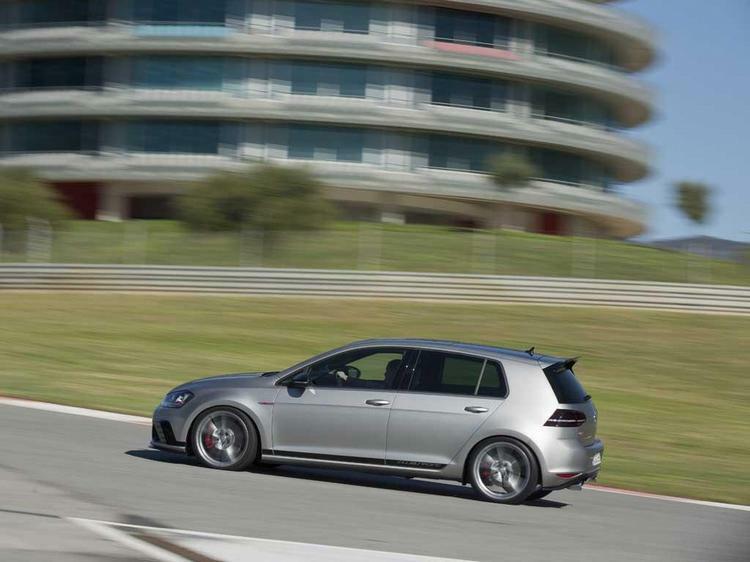 Its party piece is a 10-second overboost to 290hp and a Golf R equalling 280lb ft, initiated by the kickdown on the accelerator and repeatable after a further 10-second 'cooling off' period. This takes half a second out of the manual GTI Performance's 0-62 time, bringing it down to 5.9 seconds. 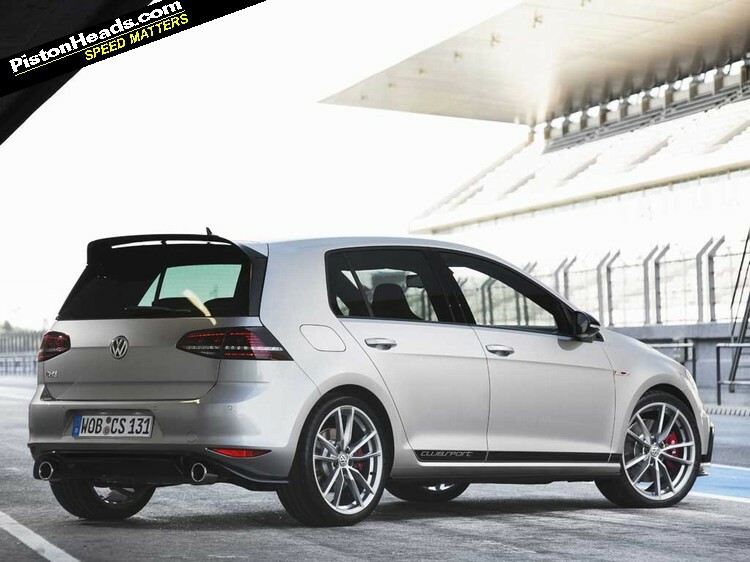 Available for the first time on a Golf GTI are track-ready 'sport' tyres, in this case Michelin Pilot Sport Cup 2s as used by the Leon Cupra and Megane Trophy for their Nurburgring glory laps. 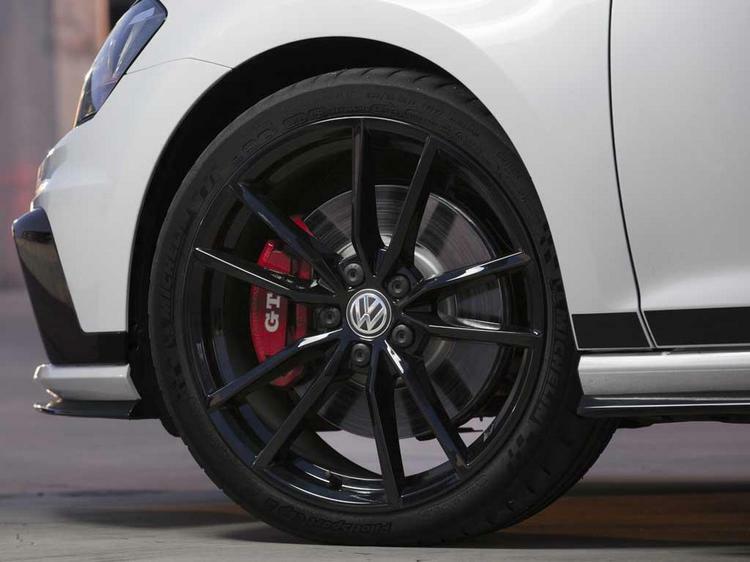 Bizarrely these are only available on the 19-inch 'Pretoria' wheel from the Golf R and not the Clubsport-specific, forged and 3kg lighter 18s. Anyway, all this to and fro means the bloke who's just spent £28,375 on a Leon Cupra - featuring the same VAQ front axle and now also packing 290hp - can add the Brembo brakes and Cup 2 tyre included in the £2,510 Sub8 package and end up with a faster and more focused car. 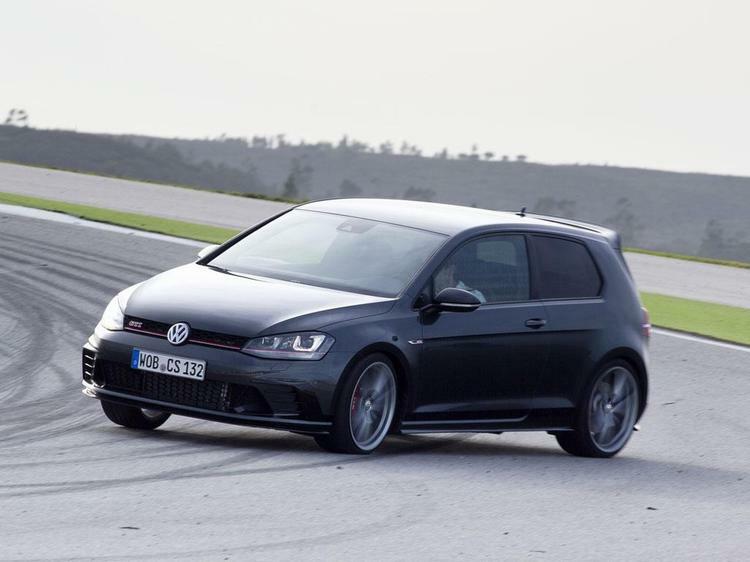 Clubsport badge or not, this is NOT the most track-ready MQB hot hatch you can buy. Bringing us back to the seats. Which are, as discussed, very nice indeed. 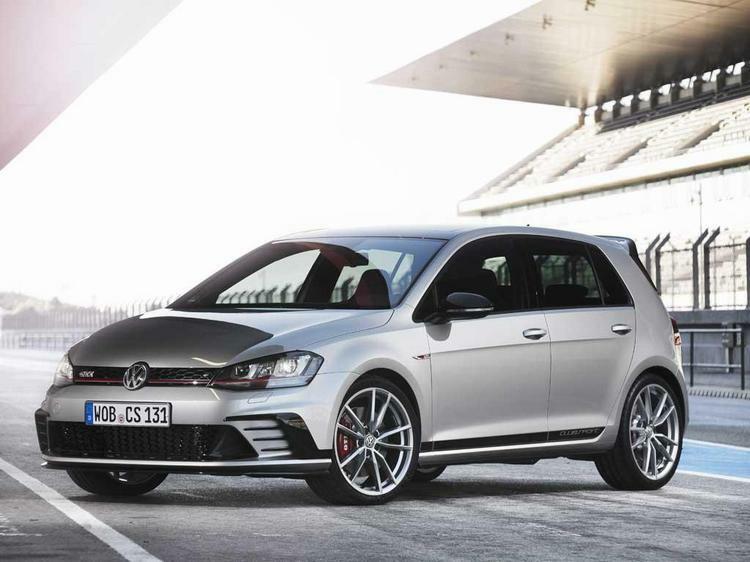 The rest of the package combines aesthetic tweaks like a black roof and logo'd side stripes inspired by the Mk1 GTI's rubbing strips, plus all-new bumpers, skirts, diffuser and multi-piece roof spoiler. 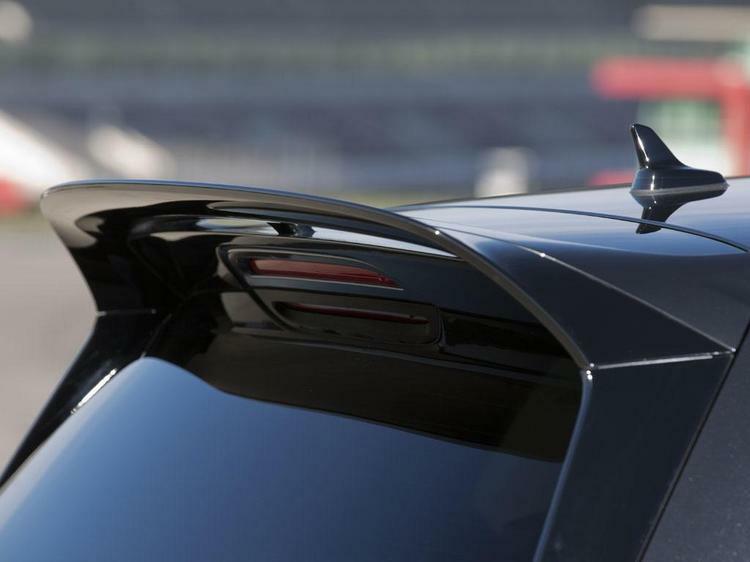 VW makes bold claims for the downforce developed by these new features, even saying in combination with the tyres the package "erases the boundaries between a street vehicle and a motorsport vehicle" - that'll be the Civic Type R peering over its newspaper in the corner at that news then. To the track to see if this really is true... Sending us out behind instructors in Golf Rs is a red rag to a bull if ever there was one, the GTI Clubsport 101kg lighter than the Uber Golf like for like, that difference conservatively more like 150kg in our manual three-door against the five-door DSG R. It's also interesting to consider that while the R has four-wheel drive it doesn't have any locking effect across the axles like the Clubsport, instead dependent on brake nibbling XDS+. As such the Clubsport is both significantly lighter AND blessed with a cleverer chassis than the R.
Any good intentions of exploring the merits of the overboost function like a proper roadtester would are immediately blown out of the water as the instructor tears off, shouting "Get on the gas! Get on the gas!" over the radio. Basically it's foot buried into the bulkhead and I'll have my portions of 290hp as often as I can, thank you very much. If slightly remote from the proceedings the engine is pleasingly zingy and strong, the manual adding some interaction and helped by well-positioned pedals and a crisp throttle response for your twinkle-toed blipping antics. It puts you more at the centre of the action than the DSG too, this refusing to hand over full manual control and leaving the whole driving experience feeling a little remote. Manual and the 20kg weight saving for the win. I'm determined that Golf R remains the same size in the windscreen all the way round Portimao and the Clubsport seems well up for the challenge, taking great chunks out of the R into the first complex, seemingly keener into the apex and not apparently outgunned beyond it. From the increasing amounts of kerb the R is taking ahead of me I'm getting the impression the 'junior' car is causing it some issues, confirmed when we come back into the pits. "After three laps my brakes were gone!" says the instructor. Through aero - claimed - and a juggling of relative spring rates (around 10 per cent stiffer all round) the man from VW talks of a softened front and stiffer rear to dial out the regular GTI's default understeer balance and restore neutrality. Certainly the dampers - optional variable DCC ones on our cars - and springs seem beautifully matched and the car has a lively, eager feel that sets it apart from the regular GTI and R. A multi-link rear where most rivals use twist-beams gives it much greater stability under braking too and you can really stand it on its nose into the corners, lean on the Cup 2s and get on the power way, way earlier than you'd expect. It'll start to run wide as you'd expect of a front-driver but, like the Cupra, you need to fight your instinct to lift, keep your foot in and let the VAQ system haul you into the turn. At the very extremes you'll start hearing the Michelins shriek but the overriding impression is of huge grip and composure, however ambitious the turn-in. This overriding neutrality contrives a languid driving style entirely at odds with the pace carried. But it's more engaged and fun than the R, if not as encouraging of lift-off and chuck it in antics like the more agile Honda and Megane. 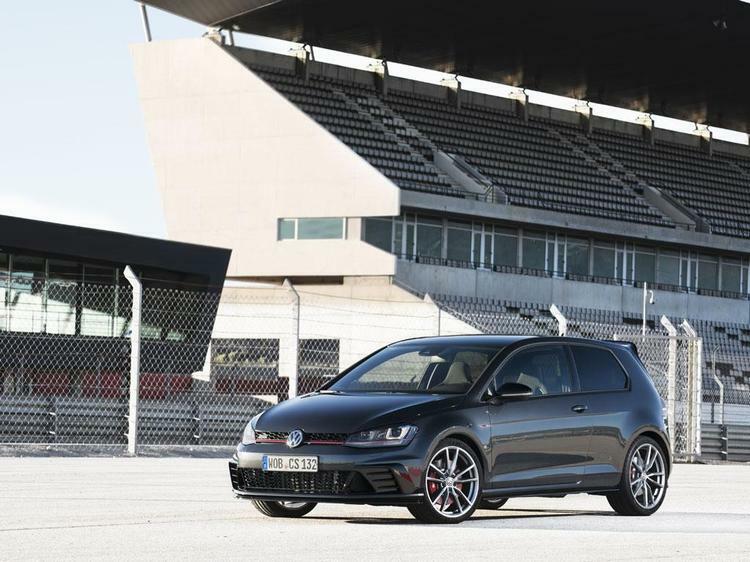 Clubsport or not, it's still a Golf GTI and a more mature, rounded, street-biased car than its looks and brief might suggest. The chassis mods and increased poise and chuckability are welcome. 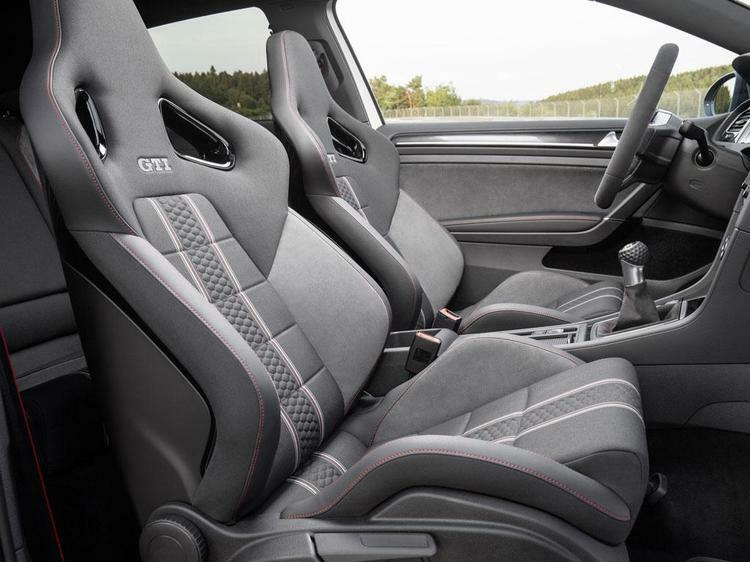 But it's telling VW hasn't fitted the Brembos SEAT felt necessary to go chasing lap times in the Sub8 Leon Cupra and, sure enough, the brakes are the weakest link in the package. 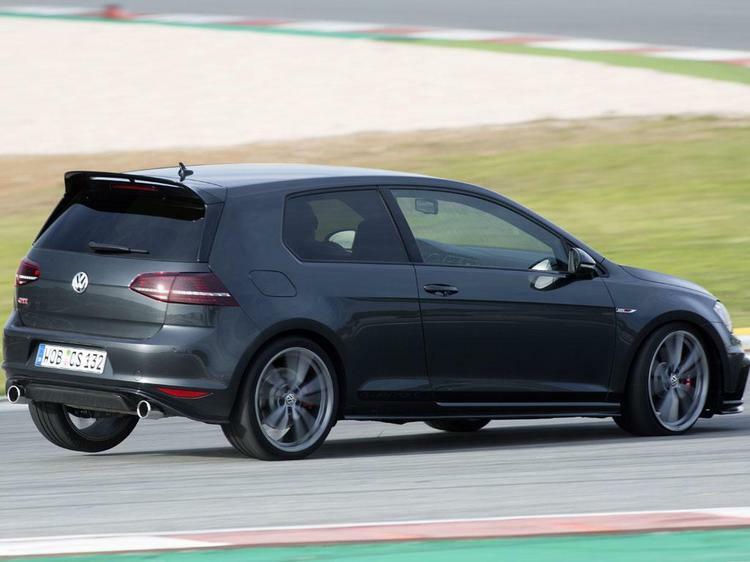 It's all a little odd really because the initial hope for the GTI Clubsport was that it'd be a stripped out and properly track prepped rival to cars like the Megane Trophy-R, not a trim package levered into the narrow gap between GTI and R. A very appealing trim package, admittedly. 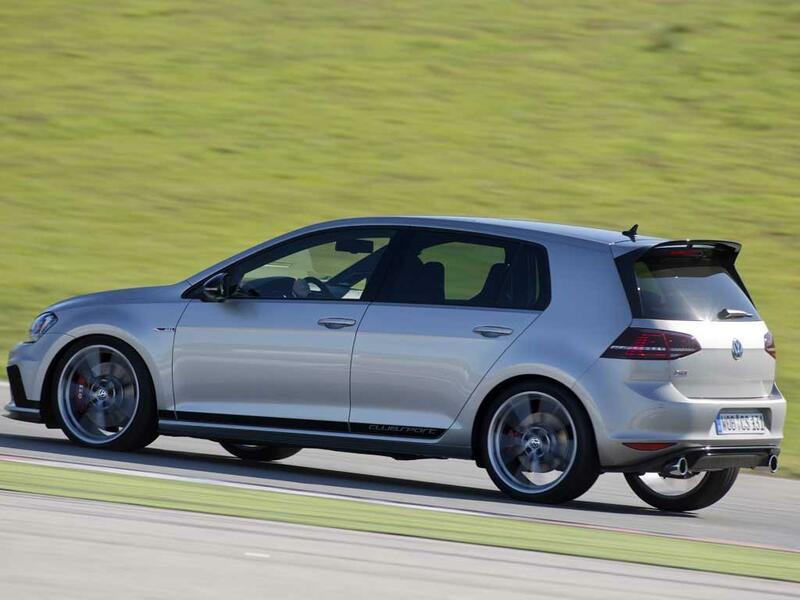 But as the man from VW slightly confusingly says, this is a car optimised for the road, not the track. Despite the fact it has aero. And harness cutouts on the seats. And stickers saying Clubsport on the side. Mixed messages then. 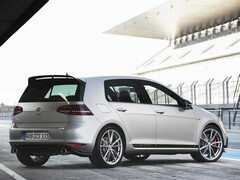 But, in its combination of maturity and performance, a fitting tribute to the GTI's 40-year legacy. And able to keep a hard-pedalled R honest. That, if nothing else, is worth the price of admission. Watch Dan chase down a Golf R in the Clubsport here. All that talk of the seats and we don't get a picture. I have my deposit with the local VW dealer. White 3 door, manual , 18"wheels I hope the seats are standard. Can't help think the Focus RS has made this irrelevant before it even goes on sale. Quite surprised they're doing a 5 door in this. Still not quite sure why you wouldn't choose an R though. 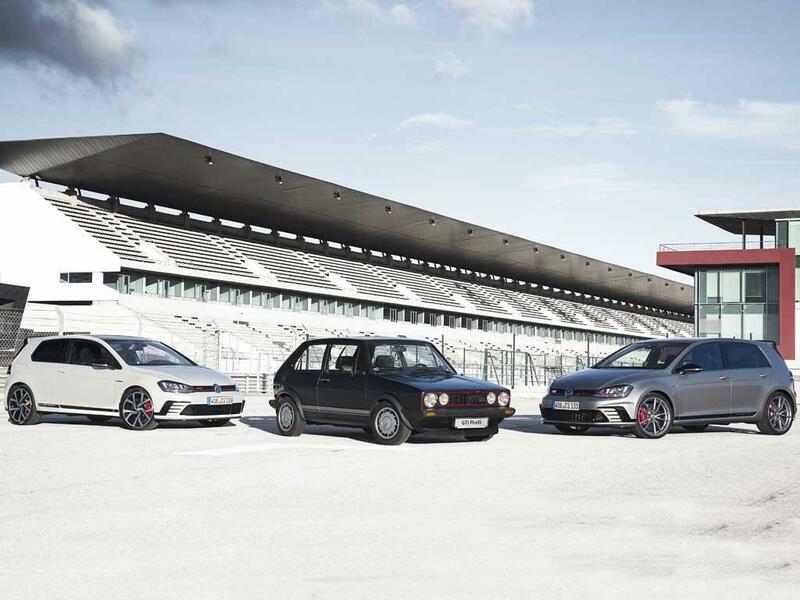 I guess it's aimed at people who want and are prepared to pay the premium for a limited edition Golf GTI, even if it isn't as accomplished.